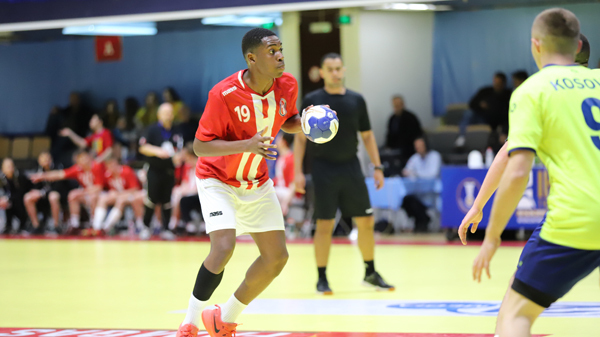 Tournament joint top-scorer Mamadu Guennady Barri (15 goals) told IHF.info yesterday that he felt his side resembled the Swedish style thanks to a great defence and quick attack but also pointed out that close-knit nature of his side. Those performances have seen dominating victories against New Zealand and Kosovo and they now face their third continental challenge in as many games when they take on the free-flowing Nigerians, who can boast Hakeem Damilare Salami (13 goals) as their top-scorer. However, you have to look down to seventh in the list of top goalkeepers at Kosovo 2019 before you find Nigeria’s Obinna Okwor – he lies well below the two Canadian goalkeepers in first and second spot respectively, with Blaise MW Holloway clearly leading the way with 30 saves from 60 shots – an impressive 50% saving ratio overall. A mouth-watering clash awaits fans in the second semi-final with two high-scoring teams facing off against each other for a ticket to the final. In their two games so far, Chinese Taipei have scored 74 times while Kosovo lay just behind on 72, however, the key in this match could be the ‘no entry’ sign put up over the Asian goal – they have by far the best defensive record, conceding just 19.5 goals per match. They are also the most effective down the other end too with a 60.2% average shot-to-goal ratio, while Kosovo have not been so useful in front of goal, despite attempting 124 shots in their two games to top the table. As has been the tradition in Asian handball it is no surprise that with their effective pressing defence, Chinese Taipei have attempted the most fast-breaks – 35, 19 more than the next team in the list (Kosovo – 16) and have therefore scored the most from this tactic (24). This match then could see the goalkeeping pair of Gentian Mani and Leonard Muqolli in the Kosovan goal (39 saves between them) tested as they hope to set up tournament joint top-scorer Ylli Muqolli to add to his total of 15 goals so far. While the stats potentially show how the game could play out, one thing cannot be measured – the home fans. With the game taking place at lunchtime on a Saturday, a strong support for the host nation could prove to be the difference in the end as they look to make the final tomorrow afternoon. Both teams in this encounter will be looking to get off the mark in Kosovo, having lost their opening two games. New Zealand arguably had the tougher start, commencing their championship against the impressive Canadians and then a one-sided game against host nation Kosovo in front of a very vocal crowd. Paraguay were 10 goals down at half-time in both their group A matches, against Chinese Taipei and then Nigeria, but came back in the second half against the African side, although the damage had already been done. Paul Ireland is the New Zealand top-scorer, on nine goals, while Paraguay have two players on eight goals each – Jesus Zalazar and Walter Salinas.